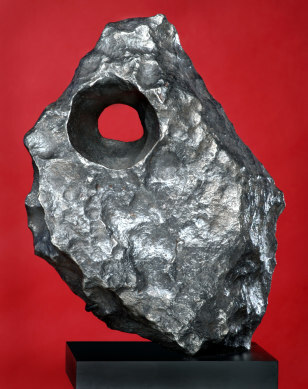 This iron meteorite was recovered from the edge of the Kalahari Desert in Namibia in 1991. The tabletop specimen contains a naturally formed hole that is evocative of the work of sculptor Barbara Hepworth. Estimated value: $22,500-25,000.